2019 Spring Meeting Registration is Now Open! 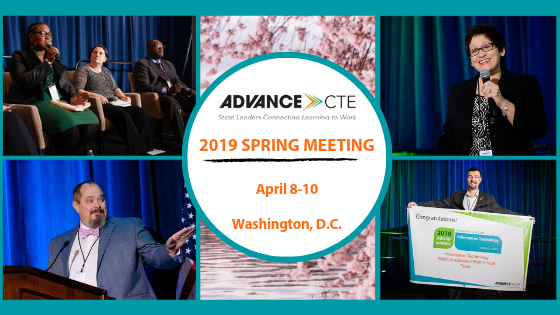 Join state Career Technical Education (CTE) leaders from across the country April 8-10 in Washington, D.C. for a three-day professional development conference that will explore the latest issues and challenges influencing CTE today. 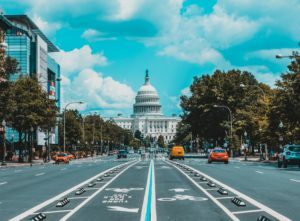 The annual Spring Meeting will equip you with the resources and knowledge you need to be innovative and bold as you begin to implement the Strengthening Career Technical Education for the 21st Century Act (Perkins V) and help you develop a clear vision to guide CTE in your state. Our agenda features breakout sessions featuring promising practices, roundtable discussions for peer-to-peer learning and panels led by CTE experts. This meeting is more important than ever as it will be Advance CTE’s only public conference this year while we support state efforts to implement Perkins V.
This entry was posted on Thursday, January 17th, 2019 at 8:53 am	and is filed under Advance CTE Spring Meeting. You can follow any responses to this entry through the RSS 2.0 feed. Both comments and pings are currently closed.